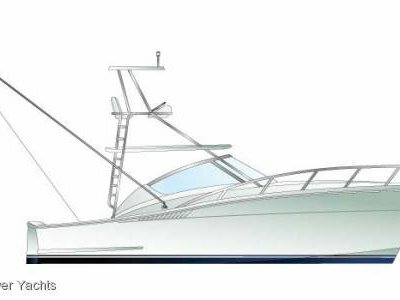 Developed from the Luhrs 28 Open, the NEW Lurs 30 comes with impeccible credentials including what is widely considered the best performing offshore hull in her size range. 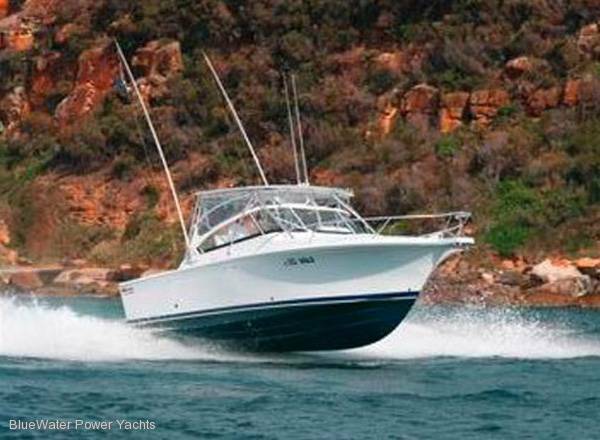 At 9.7m (31’10”) LOA and 3.5m (11’ 6”) Beam the Luhrs 30 is big boat that will take you out to the shelf with the fishing team or cruise the bays with guests in comfort. 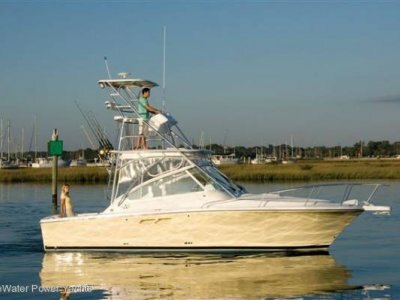 She displays all of the deep v performance and handling characteristics that has made the Luhrs brand synonymous with seaworthiness, great handling and a comfortable dry ride. This model is top value for money and economical to run with her twin Yanmar 260HP shaft drive diesels - standard. The engineering is robust and built to last. At 20 knots you have a range of over 500 miles on a tank of diesel. The stainless steel steering wheel and electronic gearshift & throttle controls make handling a pleasure. 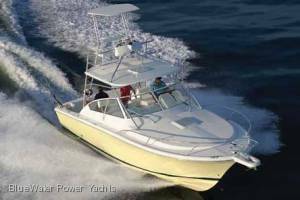 The 30 is quick, quiet, and economical to run. 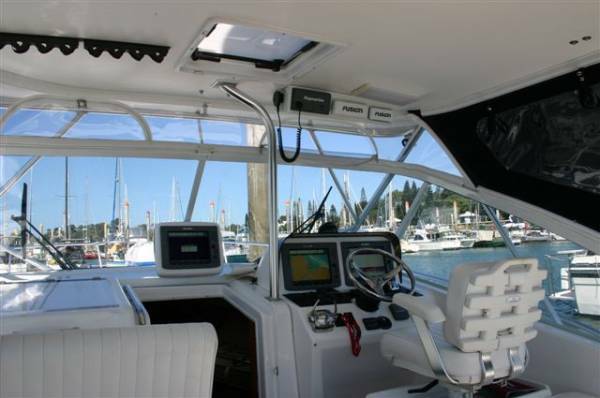 The spacious cockpit includes a transom door, fresh & raw water wash-down taps, a plumbed live-bait tank, a huge ice-box, and a built-in transom box, all as standard. 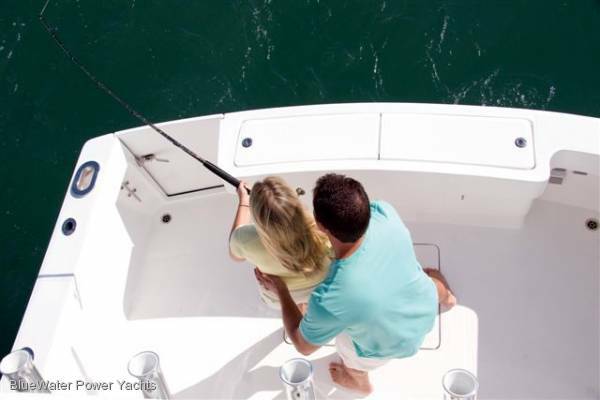 There’s plenty of room to fish or for a table and chairs for lunch. 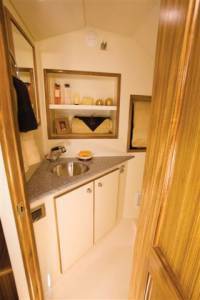 The comfortable and practical interior offers good headroom and berths for up to 4 people. 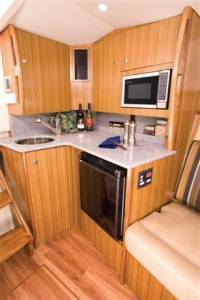 The galley provides a 12v fridge, stove, and Corian bench-top. The roomy WC has an electric head with holding tank and macerator (standard) and a stand up shower. 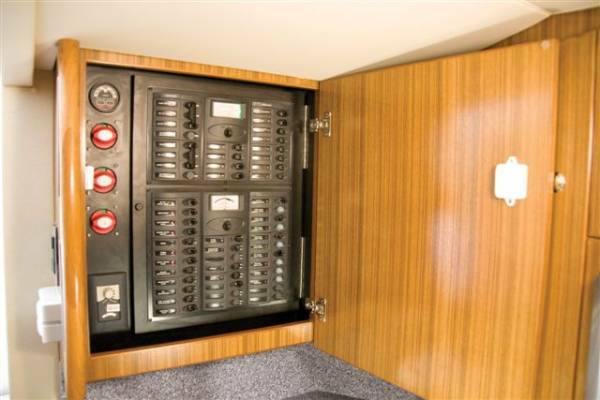 Of course, there’s a load of storage space for all those boating necessities and niceties. 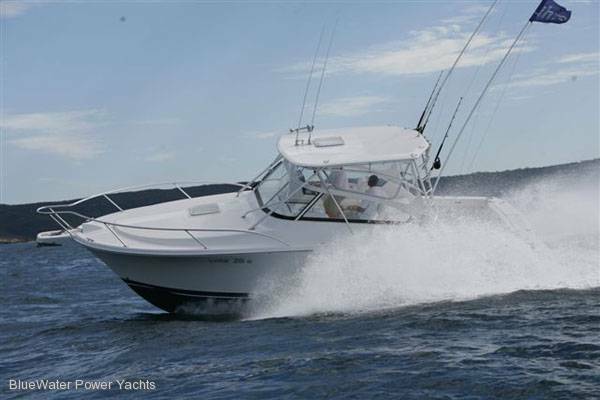 To find out why the Luhrs 30 is such good value please call BlueWater Power Yachts on 02 9029 6554 or 0416 282 022. Don’t forget to ask about the Currency Adjustment Bonus (CAB). 2x Yanmar 260HP Shaft Drive Diesels. 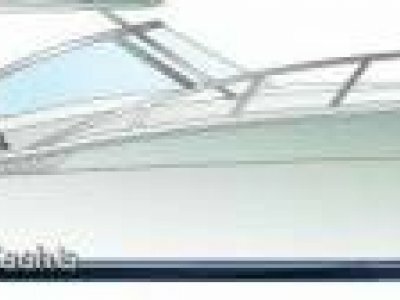 Engine room: Large engineroom under bridgedeck with lift hatch access. Good engine access. Engines wide apart for the ultimate in manouveurability. 12v fridge in galley, large (240ltrs +) icebox in cockpit. 4x Life Jackets, 2x portable Fire Extinguishers + built in SeaFire System in engineroom. 2x bow cleats, 2x amidships cleats, 2x underdeck cleats aft. Large cockpit, good stowage, huge live baot tank. 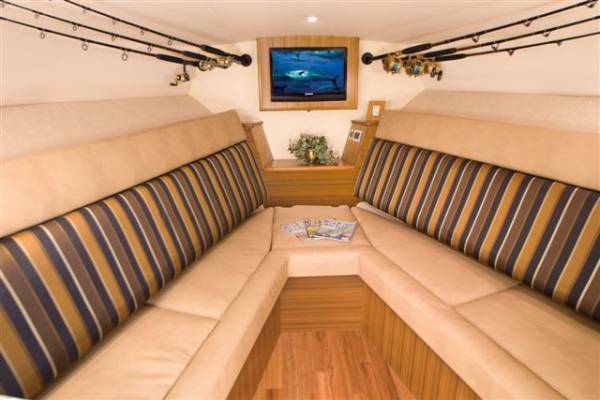 A Beautiful sea boat and great value for money. 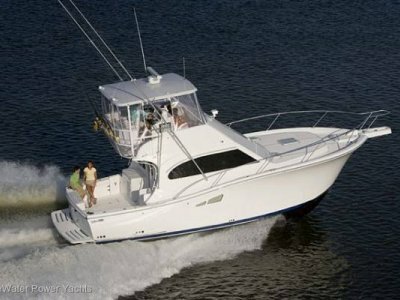 We've found that anytime the 40 footers are fishing, the 30's can fish. Australian 240v & gas compliant specifications.